C/Up of whipping past sunflowers from the back of a farm pickup truck. 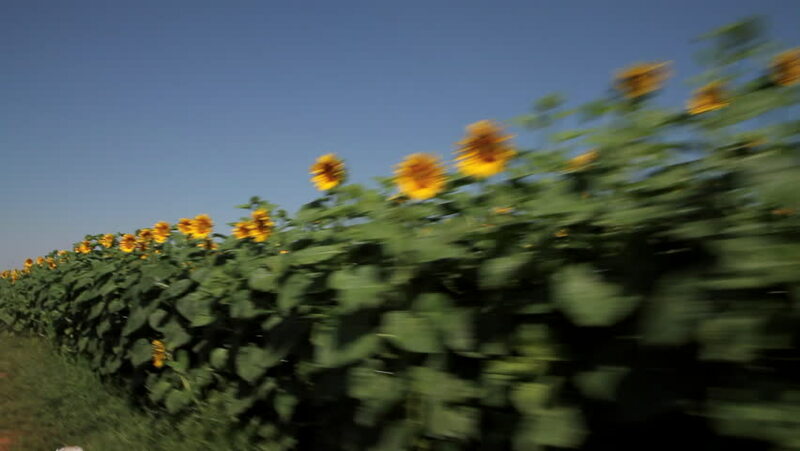 4k00:17Fast Speed White and Red Train is Passing near the Field of Sunflowers. Steady cam View. 4k00:08winter, frosty, snowy, sunny day. close-up, eternally green bushes, on a flowerbed in the garden hid under a thick layer of snow.